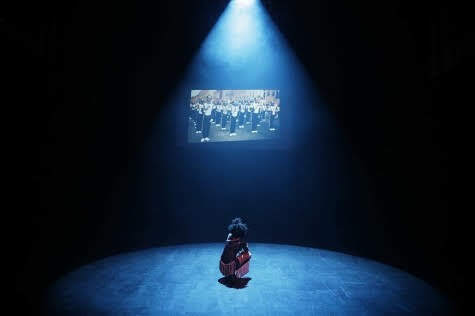 The BROOKLYN UNITED LIVE show makes it's theatrical stage debut at La MaMa theater for three performances (June 8, 9 and 10) and it's a must see. Note: I received tickets for review purposes. Views expressed are always 100% my own. BROOKLYN UNITED LIVE weaves together live drumming and dancing by vibrant and inspiring young people with documentary footage. Don't underestimate the BROOKLYN UNITED performances as just drumming and dancing. We saw them perform opening night and was shook. Literally. The whole theater vibrated from the movies and sounds the groups were making. The group brings lots of energy to each of the "acts" that will have you joining in to shout and clap along. The dance and drum performance styles include a little bit of African, contemporary and hip hop but with a modern day twist. While I enjoyed the rhythmic drum beats sounds and performances. It was the interactive parts of the show that was the highlights for me. On a large screen we learned the BROOKLYN UNITED history which includes how it was formed, how the kids balance school and rehearsals and how they impact the culture and the community as a whole. Everything combines to a soul touching experience that is sure to inspire, as well as entertain. LOVED IT! 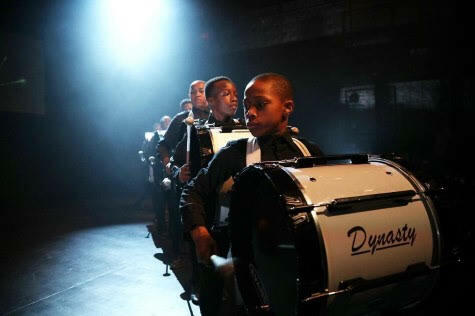 BROOKLYN UNITED is a high-octane, one-of-a-kind drum and dance corps comprised of 33 Brooklyn public school youngsters ages 5 to 17. 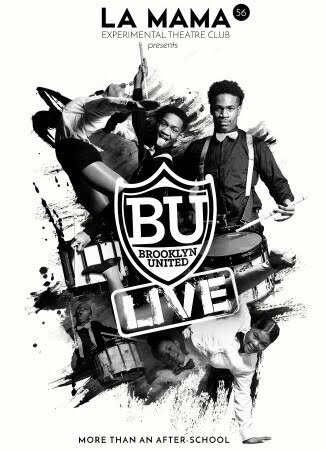 The BROOKLYN UNITED LIVE show is co-directed by Tyrone Brown, Renita Leonce, and Dan Safer and choreographed by Dara Adams. The evening of unparalleled entertainment depicts the troupe’s rigorous rehearsals, school challenges and family responsibilities in this behind-the-scenes story of BROOKLYN UNITED’s unique journey from their own neighborhoods in Brooklyn to the coveted spot on the Apollo stage and other nationwide opportunities. BROOKLYN UNITED LIVE It is a stirring tale of what can happen when a community works together to inspire and support America’s future leaders.